Game of Thrones season 7 episode 4 has been available since Friday due to a leak, but those who had the willpower to wait were treated to a glorious rendering of the power of fire, brought to us by just one of Daenerys’ three dragons. But there was a lot more to the episode beyond that, even as it was the shortest among the lot, and the pace was much slower than what this season has become known for. Here are the top five moments from this week’s episode, with a look at what made them significant. Spoilers ahead for Game of Thrones season 7, episode 4, ‘The Spoils of War’. Separated ever since their father’s death in season one, Arya and Sansa’s long-awaited reunion in episode 4 managed to hit the right notes in every fashion. It neatly reflected on the past relationship between the squabbling sisters, their respective through-hell journeys, and the tinge of jealousy owing to family favouritism. The scenes also called back to multiple moments from early seasons, something season 7 as a whole seems to be doing more of. Arya’s interaction with the Winterfell guards built on her interaction with the King’s Landing guards at the Tower of the Hand, and her meeting Sansa near their father’s crypt reminded us that the last time they were together was at his execution. While touring the mountain of dragonglass that Jon’s men are about to start mining, the King in the North says there’s another thing Daenerys should see. It’s cave paintings! And just like any cave painting, they say a lot about the past, even if it’s hard to tell history from legend. As Jon says in episode 4, the drawings show that the Children of the Forest and the First Men fought together side-by-side to defeat the common enemy, the White Walkers, who exist in exquisitely-drawn carvings under Dragonstone. The implication is simple, and Dany understands immediately. She still wants Jon to bend the knee though, if he wants her help to protect the North. “Isn’t their survival more important than your pride?” Daenerys asks Jon. He doesn’t seem to have much of an answer, but we suppose that will change soon. 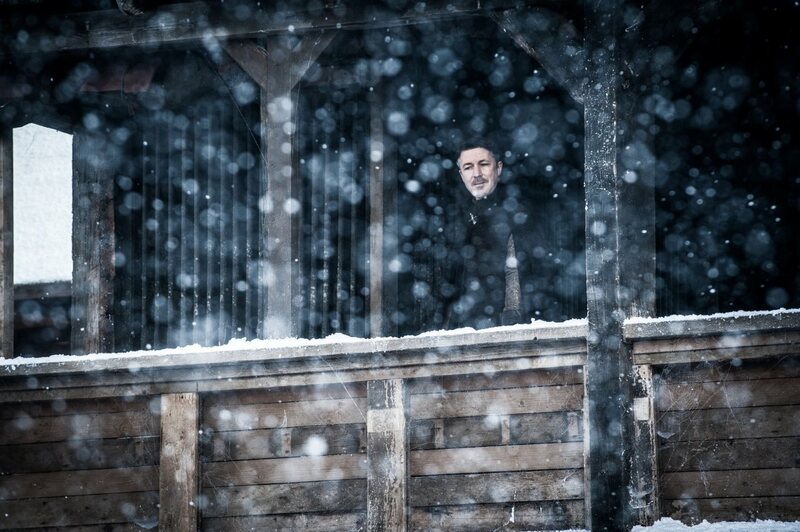 Before Meera Reed bid goodbye and before Arya met him in the Winterfell godswood, Bran Stark was paid a visit by Littlefinger, trying to hatch another one of his little plots. Curiously enough, he hands him the the Valyrian steel dagger that started the War of the Five Kings after Catelyn’s fury took her to King’s Landing. Bran’s new-found ability to know everyone’s lives can be both useful (Jon’s true parentage) and offensive (Sansa’s wedding day last episode), and it can also produce moments where even characters as sure of themselves as Littlefinger are shaken. While the Iron fleet has traversed Westeros twice over, Brienne and Podrick have been stuck at Winterfell all along, seemingly just to give us this scene with Arya in episode 4. Though the fight training sequence between Arya and Brienne is interesting on its own - it manages to pack in Arya’s various teachings, be it Syrio Forel, the Hound, and the Waif - there’s additional layers to it thanks to the presence of Sansa and Littlefinger. When Brienne asks her who taught her, Arya replies “No one” with a smirk on her face, which works on different levels for Brienne, and the audience. 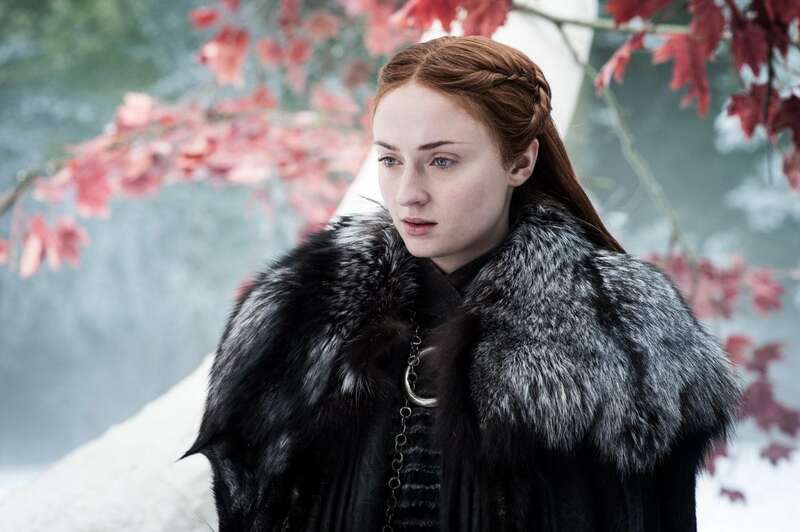 For Sansa, it lends credence to the kill-list she brought up earlier in the crypt and with Bran, and despite all she has faced herself, it gives her pause. It’s why she chooses to leave abruptly instead of applauding her sister. Littlefinger stays behind, meanwhile, and the presence of that very Valyrian dagger in Arya’s hand has added significance in that moment, given the role he played in the death of her father. And now that she’s trained to kill, there’s no telling if she’ll decide to put him on her list as well. After losing several allies since the start of Game of Thrones season 7, Daenerys finally decides to take on her enemies herself, flying into battle on the back of Drogon. The dragon makes easy work of the Lannister challenge and watching him do so despite the dangers it presents in the future - you’ve got to be stupid to burn food during a long winter - is a true delight. 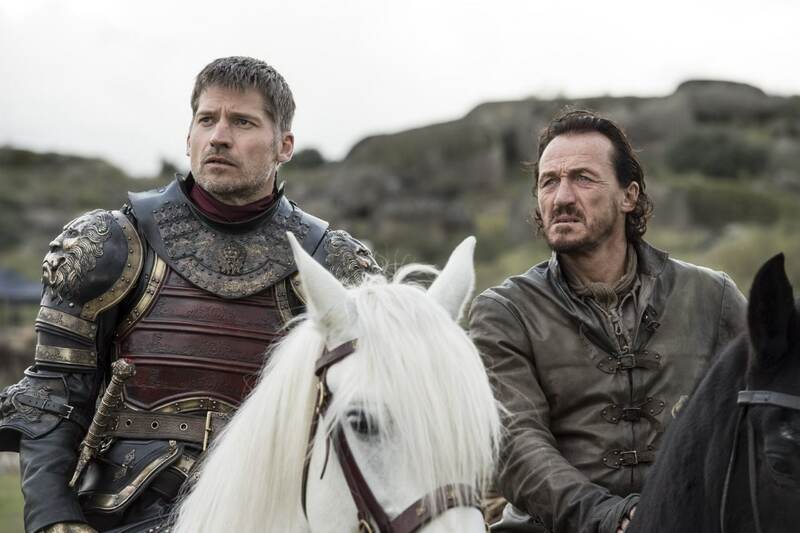 But it’s the more human moment, the bravery of Ser Bronn of the Blackwater, that stands out. Evading Dothraki and fire all around him, he wields Qyburn’s new weapon, and takes aim at the dragon in the sky. Even after he misses and Dany sees him, he’s determined to have another go. Seizing the moment, he lands an arrow into the underside of Drogon’s right wing, and has the presence of mind to bail. And as if that wasn’t enough, he manages to rescue Jaime - who’s foolish enough to charge at a dragon - from certain death by barging in at the right moment. Whether he’ll live to fight another day, along with the one-armed Lannister, is up in the air for another week. Either way, Bronn is a god among men. product From taking on Drogon to reflecting on Westerosi history, here are the moments of most significance in Game of Thrones season 7 episode 4.